Vanity Angel, or VA, was a Melee Peach main from Devon, England. He made his debut at TNJ2 where he was noticed as a talented smasher, since then he has consistently placed within the top 10 in the UK. 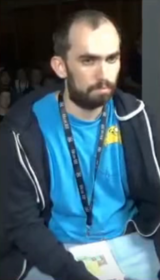 He is currently ranked 2nd on the United Kingdom Melee Power Rankings and 9th on the European Melee Power Rankings. As of 2017, he is generally considered a top 10 player in Europe, due to wins over Amsah, Zgetto, Professor Pro, and Overtriforce. This page was last edited on February 11, 2019, at 07:16.